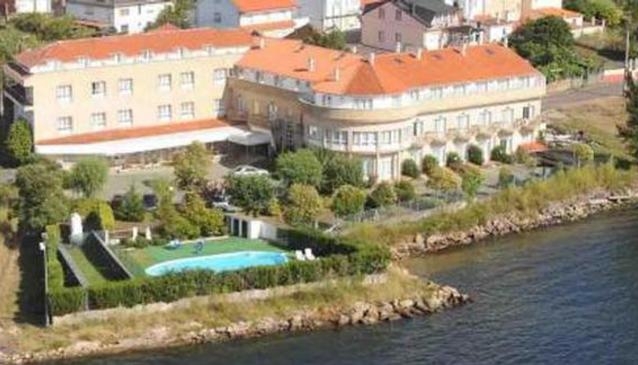 The Hotel Park Ria Noia is located in Noya making it one of the best hotels to stay at while in town. The Hotel Park Ria Noia boasts a convenient location with modern amenities in every guestroom and superb service. Each guestroom is fully equipped with air conditioning, television, bathtub, separate shower and bath and mini bar. Guests staying at this Noya accommodation can enjoy a wide range of hotel facilities such as 24hr room service, shops, elevator, bar, laundry service/dry cleaning, meeting facilities and restaurant. Leisure and sports facilities available on the hotel's property comprise outdoor pool.